Does SC's verdict settle the dust on Aadhaar debate? As the Supreme Court’s five-judge Constitution bench led by CJI Dipak Misra rules on various pertinent questions, the verdict is being closely watched. Our tryst with Aadhaar began in 2009, when the ruling Congress picked Nandan Nilekani to come up with an idea of collecting biometric information of over 1bn Indians and building a database to ensure transparency and speedy delivery of government services. Aadhaar, which literally means foundation and security, was rolled out under the supervision of the Unique Identification Authority of India (UIDAI). The government convinced us that this was the paperless revolution we had been waiting for. Everything from government welfare schemes and direct benefit transfers would be easily accessible just by showing this identification document. Though the country’s opposition at the time, BJP, was against it, once they became the ruling party, they realized its potential. What’s more, soon, the nature of Aadhaar seemed to have changed: from a loving fiancé, it became a demanding spouse. Citizens’ mornings came with new challenges of linking Aadhaar to some new identity card or document. Then came the burdensome task of linking the entire household’s Aadhaar to their mobile number, IT returns, bank account, passports, etc. Thus, Aadhaar soon became the all-knowing omnipresent card/authority, without which it would be hard to live as a citizen of the country and avail any services at all. Why did citizens’ relationship with Aadhaar change? For some, it soon became clear that this was not a rewarding relationship. Alarming incidents occurred: an 11-yr old starved to death because her family failed to produce Aadhaar-linked ration cards, a Kargil widow died after a hospital denied her treatment without Aadhaar, an ageing scientist couldn’t care for his son due to fading fingerprints. Apart from this, questions were raised about its confidentiality and citizen privacy. Almost all government departments and public institutions use this number, but apparently there is no way to keep the data they collect secure. In appalling instances, government websites leaked the Aadhaar number of students and another leak made available bank account and Aadhaar numbers of people just a click away on Google search. Moreover, the Aadhaar software has been built such that it can collect people’s information offline, making it vulnerable and accessible to just about anyone. Subsequently, Aadhaar’s constitutionality was also challenged in the Supreme Court (SC). It has the dubious distinction of being the longest-ever hearing in the apex court, second only to the landmark Kesavananda Bharti case. The first petition was filed by former Karnataka High Court judge Justice KS Puttaswamy in 2012. Consequently, as many as 27 different petitions have been filed, with each challenging a different nuance of the mammoth system. So, what are the issues surrounding Aadhaar? The 12-digit Unique Identification Number has been made compulsory for most services as it has overridden all other identity and residential proofs. Today, the court decides whether using Aadhaar to track and profile individuals makes it unconstitutional. Is India moving towards building a police/surveillance state? Further, the method in which the Aadhaar Act was passed is also under question as it was passed as a money bill. Moreover, another petition argues whether Aadhaar violates the citizens’ fundamental right to privacy. Courts must also judge the legality of Aadhaar given that the identity card has been made mandatory for availing government services. Hence, because the government is constitutionally required to provide these services, can it exclude those who don’t have an Aadhaar? Now, as the SC’s five-judge Constitution bench led by CJI Dipak Misra rules on these pertinent questions, the verdict is being closely watched. Justice AK Sikri pronounced the judgement on Aadhaar on behalf of himself, CJI Dipak Misra, and Justice AM Khanwilkar. Terming it the “most talked about expression in recent years,” he claims “It is better to be unique than the best.” He said, “Best is number one, but unique means the only one." Is Aadhaar constitutionally valid? Yes. 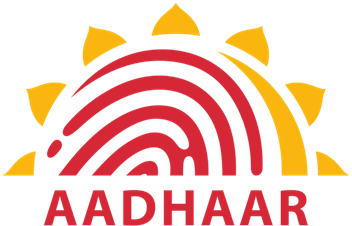 Can private entities use Aadhaar? No, rules the SC. “It’s unconstitutional,” the bench claims. Do you need to link Aadhaar with other documents? Though the bench upheld the Aadhaar-PAN linkage, linking it with your mobile numbers and bank accounts is no longer required. Moreover, telecom companies have been asked to delete all data they have collected from users. Can Aadhaar metadata be stored? Yes, but not for more than six months. Earlier, it could be stored for 5 years. Have a complaint regarding the Aadhaar Act? Don’t fret. Unlike before, SC allows you to file a case in court and get your concerns redressed. Will Aadhaar lead to a surveillance state? No, rules the majority judgement. Can Aadhaar be passed as a money bill? The bench is divided on this. Justice Sikri says it is possible. Justice Chandrachud calls it “subterfuge” (or deciet) because a money bill only requires the Lok Sabha’s approval where the government has a majority, and is not introduced in the Rajya Sabha, where the ruling party may not have a majority.